You have spent time brainstorming your content, you have written your blog post and now you’re ready to press publish. If you’re looking for marketing tips, it could be that you’re missing a few basic SEO elements that can help boost the reach of your blog post. Follow our checklist of things you should do before + after you publish a blog post to get more people reading your post as well as improve your search rankings. 8 out of 10 people will read your headline – but only 2 out of 10 people will click through to your post. That said – this makes the title the most important component of the marketing of your blog post. The title serves two purposes; it needs to include keywords for all that SEO value and be interesting enough to attract potential readers to click through to read your post. Google likes to see inbound links in your content. One of the easiest ways to boost the amount of inbound links in your content is to hyperlink old blog posts. It will make Google happy as well as keep readers on your website for longer. Put together a list of blog posts that relate to the blog posts you’re about to publish and link them within your content. Remembering to make the anchor text the blog post title for example: How to Use an Editorial Calendar to Grow Your Traffic + Social Media Following and not hyperlinking text like, ‘find out more here’. Is Your Blog Post SEO Optimized? – Have you used your keywords in your content? Try to make your keywords make up 1% of your content. But remember to incorporate them naturally within your blog post. – Are your keywords in the page title? Usually – a page title is autogenerated from your blog post title. But sometimes this won’t include your keyword and can look a bit messy. Scroll down the content of your blog post title in editor and you’ll find Yoast SEO. From there you can edit your page title to tick all of the SEO boxes. – Do you have a meta description? Similar to page titles, a meta description is automatically pulled from the content of your blog post. Use Yoast SEO to write your meta description to include a keyword and attract readers. Take a look at the meta descriptions of your competitors in the search results. Using their meta descriptions as a comparison, you can make your meta description stand out from the rest to increase your click through rate. You can find more tips to step up your SEO game in our Beginner’s Guide to SEO. What’s more off-putting than a huge chunk of text? It’s a huge turn off. And – Google knows this. Make it easier for your reader by breaking up your content into small sections and you’ll find people will stay on your page for longer. More engagement = more chance of winning your reader as a client. – Read through your content and see where you can break it up. Once you’re finishing editing – Yoast SEO will give you a score as to how ‘readable’ your text is. Aim for a green light! Our branding sets us apart from our competitors. And – setting a style for your blog post images will help enforce your brand. For each featured image use a set font, colour (from your website/logo) and style. Create a template to help make your images more consistent with one another. It’ll also speed up the process too! Like we optimize our content, we need to optimize images too. On WordPress, when you upload an image it’ll come up with ‘description’ and ‘alt text’ on the right hand side. Type in your blog post title into this – not forgetting to include your keyword! After hours of writing on a screen, it’s so easy to miss a typo or miss something that doesn’t make sense. Take a break from your computer for at least 30 minutes to an hour. Return to your blog post with fresh eyes and read in small sections. Using this technique you’ll be able to notice more mistakes + make your blog post flawless. Once you’ve typed in your blog post title, a URL will generate automatically from this. To ensure your URL scores well for SEO – start by deleting words like ‘the, a, because’ to lay more emphasis on your keyword and main components of your blog post title. After you publish a blog post, write a series of unique posts to promote your blog post on social media. I usually tend to write around 8 tweets and 4 Facebook posts for each blog post I publish. Once written, schedule them to go out over the next 4 weeks. After scheduling, insert all of your social media posts into a content bank so can schedule them sporadically with other posts to keep your social profiles updated and drive traffic to your website. If you’re not using a scheduling platform yet – take a read of our How to Use an Editorial Calendar to Grow Your Traffic + Social Media Following blog post to find out our list of recommended scheduling websites and plugins. – Pin your image to a blog post board, aka a board used solely to house your blog posts images. 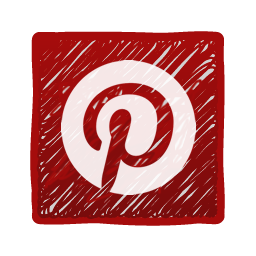 – Pin your blog post’s image to other relevant boards on your Pinterest. Once your blog post has been uploaded to your blog post board, pin your image to any other relevant boards on your Pinterest. That way you will maximise the reach of your pin as you’ll be putting it in front of an audience who follows your boards. – Upload your pin to shared group boards. If you’re not already a member of shared boards, search for boards relevant to your business so that you can share your pin with both people who are a part of the group board and who follow the shared board. Similar to shared Pinterest boards, there are tonnes of Facebook groups where you can post your content. Join groups that are relevant to your business so you can share your knowledge to an audience who could benefit from your blog post. Instagram is a great platform to show off your branded images. After you publish a blog post make sure you upload an image to your Instagram profile. Not forgetting to include hashtags to reach an audience that are looking for content like yours. You’ll find top tips in our post Using Hashtags Effectively on Social Media. Everyone has their favorite go-to places for content. For some of us it’s Facebook, some can’t stay away from Pinterest and some of us like getting their updates through email. After you have published a blog post, write a quick 30 word summary of your blog to feature in your weekly, bi-weekly or monthly round up email to drive traffic to your website. If you haven’t got an email marketing campaign in-action, make some time to brainstorm ideas for content that you can exchange for an email address. For instance, if you’re a healthy lifestyle brand, creating a ‘20 Lunch Recipes That Are Budget Friendly + Help You Lose Weight’ guide as a lead magnet for your mailing list campaign. LeadPages is an easy-to-use campaign to help get this set up for you! Like including links to old, relatable blog posts before you publish a blog post, linking your new blog post to old content will work in the same way. Readers who land on your old blog post will be shown a new blog post that may interest them will help reduce your website’s bounce rate. Get conversations started with people talking about your topic. Type in relevant search terms or words associated to your blog post and you’ll find people talking about it in some way. 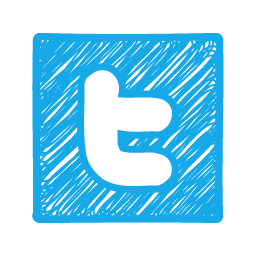 Mention that you’ve written a blog post that’ll help with their problem and engage with their previous tweets/photos. It’ll help direct people on to your website as well as boost your Twitter following. It’s the beginning of the year – which means creating New Year’s Resolutions and thinking about the year ahead. We reflect on the positives, we notice our mistakes and we work on how we can improve. Instead of indulging in high calorie food like we do over Christmas, we start cleansing our bodies and working on getting back into shape. And – like our bodies, our business’ need to detox too. The start of a new year is one of the best times to analyse the results of our digital marketing campaigns, try new strategies and create a marketing plan for the year. Your social media insights. If you’re using a social media schedule tools like HootSuite, Sprout Social and Buffer, you can create reports on how your social media is performing in a few clicks. This will help you compare results, monitor your following, identify your demographics and see how much traffic is being directed to your website. On Facebook, you can see what time your fans are online, the most popular times are when you should be posting. You can do this by logging into your page, clicking ‘Insights’ on the top panel and clicking ‘Posts’ on the left hand side. See what’s popular on your website. Google Analytics provides you with a wealth of data which shows what’s popular on your website. Seeing what content brings in the most traffic can help you create future blog posts that are popular with your audience. Identify what’s converting. You might be investing a lot of time and money into moving up the page rankings for a chosen keyword. The keyword might be directing lots of traffic to your website, but the traffic may not convert into enquiries. On Google Analytics you can monitor your SEO campaign so you can identify when to stop optimizing a keyword and concentrate more time and effort on another. Run competitions. Everyone loves the thought of winning something. Show your customers value in following your social media profiles by running a giveaway in exchange for a ‘like’ or ‘comment’. This is an effective way of increasing your brand awareness, social media following and reaching your target audience. Share your customer’s content. If your customers take a picture of your product, write a blog post reviewing your service/product – sharing it on social media will show your potential customers what your customers are saying about you. Start conversations with your customers and relevant influential people. Social media platforms are a great place to respond to comments from your customers and build trust. Twitter is a great place to get talking to popular people in your industry to build relationships and increase your brand awareness. Find out the most relevant keywords for your industry. You can identify the most searched keywords for your business and area by using the Keyword Planner tool on Google AdWords. Once you’ve found the keywords, you can begin to optimise them on your website. Use your keyword in page titles and meta descriptions. Publish relevant blog posts to direct your potential customers to your website. Create and share helpful content. For example, if sell fitness clothing and gym equipment, writing blog posts and social media posts about workouts, healthy recipes and benefits of certain exercises will engage with your audience more than sharing links to gym tops and Additionally, by publishing helpful content, you can work on a wide range of keywords which will drive more high quality traffic to your website. Advertise helpful content. If you’ve recently published a video, infographic or blog post that will help customers – paying to promote the post will help you connect with more of your target audience. Boost competitions to maximise your engagement. Similar to sharing helpful content, making more people aware of your competition will help you engage with a larger audience and get more entries. Creating a giveaway to build your mailing list. 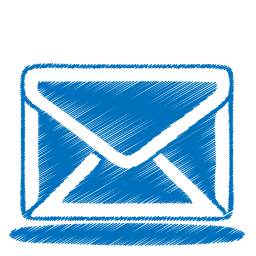 Try building your database of emails by offering free downloadable guides as well running competitors in exchange for an email address. Promoting your latest content. Like sharing your latest blog posts, videos and infographics on social media, you can use your email marketing campaign to share content and direct traffic to your website. Advertising special offers. As well as promoting your products and services, running exclusive offers will help keep your potential customers subscribed to your mailing list. Understanding your typical customer can help you create content for your potential customer. For example, if you offer services for businesses, LinkedIn is one of the best places to network and promote your content, but if you’re target audience is people – Facebook is an ideal platform to share your content. Get ahead of your competitors in 2016 by keeping your strategies up to speed with the constantly evolving nature of digital marketing. Start understanding your audience, showing your expertise, blogging to boost traffic and using social media to engage with your customers. That way – you’ll reach your potential audience, gain their trust and boost your sales. Questions, comments, straight up disagree? We want to hear from you! Reach out to us on twitter or comment below!